Race night at a greyhound track may seem like a snapshot from a bygone age but the sport retains its place in the hearts of generations of dog lovers, who regularly attend stadiums around the world. Some love it for the speed and movement of the animals themselves; others for the chance to have a flutter courtesy of the trackside bookmakers. For most, it is a mixture of both that lures them away from the likes of Premiership football and Six Nations rugby, and out into the evening air. Not surprisingly, ensuring the safety of the dogs is paramount in preserving the good name of the sport. In Britain, the government followed on from its 2006 Animal Welfare Act, which enshrined a number of standards regarding best practice, with a consultation document specifically aimed at greyhound racing. This has led to the Welfare of Racing Greyhounds Regulations 2010. The Department for Environment, Food and Rural Affairs, responsible for these regulations, has stated that its objective is to ensure the welfare of animals at race tracks and to improve the traceability of animals at the end of their racing life. 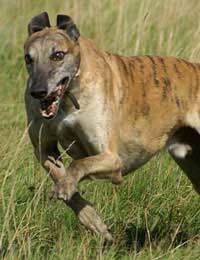 Defra said during the consultation stage that the government is satisfied that the sport is not inherently cruel; in fact it welcomed the input of a wide range of voices from within the sport – veterinarians, animal welfare groups and greyhound bodies – as part of the process. Defra has specified minimum welfare standards for all tracks, to include the presence of a veterinarian at all meets and trials, and suitable kennelling to be available on site. Among the specifications for kennels, they should be ventilated, be occupied by no more than one dog at a time, be disinfected and dried in between meets, and be constructed to minimise risk of injury. Other requirements call for the recording of any injuries sustained by animals during meets, and a mandatory microchip and, where required, tattoo system for all race animals. Race track owners will be able to use injury records to spot any increases in incidents that may require them to review their current facilities. The legislation should be viewed as a positive move to eradicate the tiny minority of owners who in the past have brought the sport into disrepute by their cruelty. The horror stories that have appeared in the media regarding the fate of a number of dogs that had reached the end of their racing life, for example, are evidence enough that action was needed. Fans of greyhound racing in the UK can be happy in the knowledge that the sport will be able to flourish in the years ahead thanks to regulations that ensure the four-legged superstars of the track receive the treatment that any self-respecting top-class performer should expect. And, of course, when fans hand over their hard-earned cash in return for the bookmaker’s ticket at the trackside, they can be assured that the dog they are betting on will be in the right condition to give the rest of the field a real run for their money.